This title is a guide to the Bible for those who have not read it previously. It outlines the structure and stories of the Bible and answers the kind of questions that might be raised today about its creation, content and modern-day significance. In this book, David Winter offers a wise and lucid guide to reading the Bible for beginners. He covers the "story" told by the Bible, how to distinguish between history, poetry, and allegory, how to begin reading the Bible, and questions raised by modern scholarship. 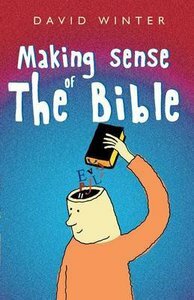 About "Making Sense of the Bible"